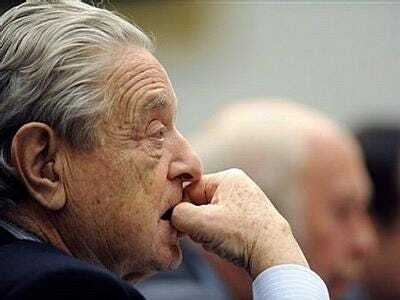 George Soros is fighting to get a 3.92% private stake in India’s Bombay Stock Exchange (BSE). Soros Fund Management is battling with other potential buyers for BSE shares from the troubled Dubai Financial Group LLC. Other investors who have bid for BSE stake include New York-based private equity majors J C Flowers and Caldwell Investment, promoted by Toranto investment broker Thomas Caldwell. Caldwell is a specialist investor in stock exchanges and bought 4.3 million shares of the New York Stock Exchange in 2006. Sources added that a private equity fund has bid Rs [rupees] 370 for each share, valuing BSE at over Rs 3,800 crore. Avendus Capital is advisor to the deal. Valuation for BSE has spiked recently after BSE modernized itself. Six months ago, Business Standard reports that brokers had sold a stake of the exchange at just 160 rupees per share. Then just a few month ago they were sold by a bank at 320. If the 370 offer above materialises, then BSE has more than doubled in half a year, and if Soros is right they’ll go even further.